Q: Who founded Optimum Investment Advisors and what were their objectives? A: Optimum Investment Advisors was founded in Chicago in 1989 by H. Steel Bokhof, Jr. and Andrew J. Goodwin, III. The firm began primarily to offer customized, fee-only discretionary asset management to individual affluent investors. We defined our target market as those individuals with at least $500,000 of investable assets who would benefit from the experience and expertise of a seasoned group of investment professionals. While we remain focused on serving the individual investor, we have gradually grown our institutional business as well. This client base includes corporate pension and profit sharing plans, public funds, Taft-Hartley business, endowments and foundations. Today, Optimum Investment Advisors manages approximately $1.4 billion of client assets. Q: Please give us a short description of the firm's history. A: The firm has steadily grown since its inception with the addition of accomplished portfolio managers and professional staff who have joined us from a variety of well-respected financial institutions including The Northern Trust, Bank of America and Salomon Smith Barney. The common desire to serve individual clients in a boutique environment, versus within a large corporate structure, has attracted several individuals with established clientele to join the firm in our Chicago headquarters as well as in our San Francisco Bay Area, Dallas-Fort Worth and Milwaukee offices. The ability to attract and retain quality investment talent has led to the continual growth of the firm. Q: What is the firm's investment philosophy? A: Our investment philosophy is to remain fully invested in quality individual securities with the potential to produce above-average returns over the long term, while minimizing client risk. Portfolios are designed to meet the specific needs and objectives of each client while employing our "Growth at a Reasonable Price" (GARP) equity discipline. While we seek to remain fully invested, we may make strategic asset allocation decisions when market conditions dictate and move a portion of client assets to cash or cash equivalent positions. We employ a "Top-Down" strategic analysis for portfolio structure and economic sector diversification coupled with "Bottom-Up" security selection process. Our GARP equity style emphasizes quality companies with growing revenue and earnings, below average financial leverage, and superior returns on equity. Through the application of proven processes, we build diversified portfolios designed to provide maximum after-tax total returns on a risk-adjusted basis. Additionally, we offer actively managed fixed income portfolios that range from a very short duration of under a year (essentially a cash management product) to a long corporate strategy with average maturities of 7 to 10 years. Along this continuum are intermediate portfolios, including municipals and state specific issues. Given the rising interest rate environment today, we take great care to determine the objectives for the investable dollars so as not to expose our clients to more interest rate or reinvestment risk than necessary. Q: What investment products do you offer? A: We specialize in the construction and discretionary management of customized portfolios of individual stocks and bonds. In addition to an all cap core equity product, we also offer a mid-cap equity portfolio and high quality fixed income portfolios of varying duration. As we are fee-only investment advisors, we do not sell any commissioned products or services. We charge our clients a percentage of assets under management. Our goal is to continually grow clients' assets so that our fee will increase commensurately. We "sit on the same side of the table" with our clients as our fees rise and fall with the value of clients' portfolios that we manage. For individuals, our minimum account size is typically $500,000. On the institutional side of our business, the minimum account size is typically $10,000,000. Q: What is the difference between your individual and institutional services? A: We utilize the same disciplined investment selection process for both our individual and institutional clients. However the amount of customization that occurs in an individual's portfolio tends to be greater as there are special tax considerations, personal biases, different objectives and varying tolerances for risk. In the institutional environment, in addition to the fact that the assignment typically involves a directive to remain fully invested at all times, the portfolio turnover may be greater as the need for tax efficient management does not exist. Q: Why have you chosen to concentrate your investments in all-cap and mid-cap core equity products? A: We chose to concentrate our investments in an all cap core strategy primarily because it is more consistent with the needs of our high net worth clients. Often, we are a client's only money manager and to have the flexibility to move up and down the capitalization scale and back and forth between growth and value has resulted in more consistent performance over time, versus limiting our investment scope. Our midcap product offering was the result of a midcap manager joining the firm in 2003. She and her very talented team manage the ABN AMRO Mid Cap Fund through a subadvisory relationship, as well as manage individual portfolios for high net worth and institutional clients. We also offer actively managed fixed income services to clients focused on preservation of capital and maximizing income streams. We offer cash management, limited and intermediate duration taxable and nontaxable portfolios. Q: How do you combine your macroeconomic analysis with your stock analysis? A: We begin our investment process with both a "Big Picture" and "Thematic" perspective. We study trends in economic activity, interest rates, inflation and fiscal and Fed policy. Our market assessment includes an analysis of corporate earnings, valuation levels, liquidity and money flows into and out of the stock and bond markets. We also identify the emergence of major trends and themes, such as globalization, consolidation, demographics and technological changes that provide opportunities to enhance performance through our portfolio construction. Screening processes and a multifactor scoring model drive individual security selection. Biased by our growth quality orientation, we screen about 5000 domestic companies. We look for superior revenue and earnings growth, margins and other profitability ratios, as well as return on equity (ROE) as compared to our benchmark, the S&P 500 Index. Financial strength, competitive position, and managerial consistency and effectiveness are also weighed. Stock characteristics such as relative strength, money flows, liquidity, stock ownership, market capitalization and price volatility are also analyzed. Our internal screening process produces a universe of about 1000 companies that have a market capitalization of at least $1 billion. These are then ranked on a weekly basis using our proprietary GARP ("Growth at a Reasonable Price") scoring model. This model relies heavily on ROE and its relationship to earnings growth expectations and various price earnings ratios, relative strength and risk/reward profiles. This scoring process leads us to a selection of about 200 companies, which we call "the Optimum 200." This focus list is then subjected to rigorous and detailed in-house analysis. A visit or discussion with management is a necessary element of this process. We are particularly interested in management's business strategy, depth and experience. Recommendations are brought to weekly meetings of our Investment Committee for final approval and inclusion in our Model Portfolio of approximately 35 securities. Our "Top Down" assessments are overlaid on the "Bottom Up" stock selection process to determine how much weight to place in selected industries and economic sectors as we build our Model Portfolio. The marriage of the two processes either validates or questions our thoughts in both areas. Should our sector analysis lead us to believe that an area is attractive and our security selection process yields similar results, we are more confident than if they contradict each other and vice versa. They work in tandem to confirm our thought process or cause us to reevaluate. Our Investment Committee, comprised of our partners and portfolio managers, carefully reviews current holdings and recent developments in companies we own. Each portfolio manager is then responsible for implementing the Committee's conclusions as they relate to the specific objectives of each individual portfolio. Q: Please explain in detail what you mean by "growth at a reasonable price"? A: The classic definition of a "GARP" manager is one who seeks to pay a price/earnings multiple for the stock which is as close to the growth rate of the issuing company as possible. For example, we would like to a pay a price/earnings multiple of 20 times for a company which is growing their earnings 20 times. We will often pay a higher or lower multiple for a specific issue though seek to build an overall portfolio that possesses an average growth rate as close to that of the member companies as possible. Q: What market conditions would prompt you to change the cap size weightings of your portfolios? A: Our process is one that has proven to bring us to the "sweet spot" of the market. While we do not invest in companies with market capitalizations below $1 billion, our portfolio will move up and down the capitalization spectrum as opportunities arise in various arenas. For certain clients, we offer larger capitalizations as their objectives dictate. Q: Do you have a preference for "growth" or "value" companies or is that not relevant to your analysis? A: While we are somewhat style neutral, we do not invest in the extremely high growth or deep value tails of the bell shaped equity curve. Companies with extremely high multiples or no earnings would not meet our GARP standards, nor would very deep cyclical stocks. Q: How do you control investment risk? A: We view each portfolio as a puzzle, and each individual security as a piece of the puzzle. We constantly monitor the portfolio to make sure that the overall characteristics of the portfolio are in line with our desired parameters. Should any of the metrics deviate very much, this would be an indication that the overall risk in the portfolio is too high or too low relative to what we are trying to accomplish. Q: Do you ever hold a significant amount of cash? A: While we seek to remain as fully invested as possible, there have been bearish cycles in the market during which we believed that a strategic shift of a portion of clients' portfolios to cash was prudent. Unlike corporate pension plans that continually receive new money, individuals typically have a finite amount of investment dollars and preservation of capital is a key concern. A: As with all independent money managers, we rely on a host of various sources for investment research. In addition to subscribing to the "best of breed" database services, we utilize third-party Wall Street research and regularly attend investment conferences and meetings with senior management teams to learn as much about current and potential investments as possible. While we do not rely on Wall Street analysts to direct us to a buy or sell decision, we do consult their consensus information to validate our thinking. Q: Who is on your investment team and what are their backgrounds? A: Our Investment Policy Committee is comprised of twelve senior portfolio managers and a Chief Investment Strategist who average more than 25 years of industry experience. Nine of these individuals have post graduate degrees and seven are accredited Chartered Financial Analysts. Andrew J. Goodwin, III - Chairman - has been actively involved in Chicago's investment and business community for more than 30 years. He began his career at Smith Barney, and prior to co-founding the predecessor firm to Optimum Investment Advisors, spent 10 years at The First Boston Corp. in Chicago. A graduate of Princeton University, he received his MBA from Northwestern University. H. Steel Bokhof, Jr. - Vice Chairman - has worked in the investment business for over 30 years, with firms including Institutional Capital Corp. and Salomon Brothers. Immediately prior to co-founding the firm, Steel was with the institutional investment subsidiary of The Northern Trust. He attended Kenyon College and received his BS/BA from Northwestern University. Keith F. Pinsoneault, CFA - President - has better than 30 years of investment experience as an analyst, research director, head of capital markets and portfolio manager. He also served in senior executive capacities at several major regional brokerage firms. Keith was the President of Sutro & Co., and a Senior Portfolio Manager at Harris, Bretall, Sullivan and Smith in San Francisco. He is a graduate of Marquette University and an accredited Chartered Financial Analyst. Thyra E. Zerhusen - Chief Investment Officer, Mid-Cap Strategy - joined the firm in 2003, bringing over 25 years of investment experience. Most recently, she served as Senior Vice President and Portfolio Manager at Talon Asset Management, where she was responsible for managing the ABN AMRO Mid Cap Fund. Thyra has held past positions as Senior Investment Analyst, Investment Research Officer, and Principal at firms including Harris Trust & Savings Bank, Sears Investment Management Company, and the Burridge Group. She is a graduate of the Swiss Federal Institute of Technology and received her MA from the University of Illinois. Michael Winkle, CFA - Chief Strategist - is a Kansas City native with over 25 years of investment experience, having worked at the investment advisory firm of Reimer & Koger and the mutual fund company of Waddell & Reed. Michael is an accredited Chartered Financial Analyst and member of the Market Technicians Association. He received both his BA and MBA from the University of Missouri. 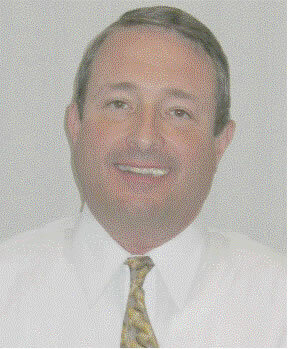 Allan R. Crevi, CIC - joined the firm in 1995. Immediately following graduate school, Allan joined the Chicago investment management firm of Stein, Roe & Farnham where he spent 25 years in executive roles, including senior partner in portfolio management. He is a graduate of Cornell University and the Wharton Graduate School of Business. Allan is a Chartered Investment Counselor. Thomas J. Czech, CFA - joined Optimum during 2001 in our Milwaukee office. Tom has worked in the investment industry for over 30 years. During this time, he has held positions as Director of Research, Chairman of the Stock Selection Committee and First Vice-President at firms including Kemper-Blunt, Ellis & Loewi, the predecessor to Wachovia Securities. Tom received both his BS and MBA from Northern Illinois University. He is an accredited Chartered Financial Analyst. Loyal H. Hughes, Jr., CFA -recently joined the firm, bringing 30 years of investment experience to our Bay Area office. Most recently, Loyal served as Managing Director Institutional Sales at H.C. Wainwright & Co in San Francisco. Loyal has held past positions as Senior Vice President Equity Sales and Senior Security Analyst at firms including Bank of America, Wells Fargo Van Kasper & Company, Hancock Institutional, and McCullough, Andrews & Cappiello, Inc. He received both his BA and MA from San Francisco State University. Loyal is an accredited Chartered Financial Analyst. David W. Poole - joined the firm in 1999. David has almost 30 years of industry experience, spending the majority of his career as an equity analyst and portfolio manager with Sears Investment Management Company and subsequently establishing Appleton House Advisors, a high net-worth investment counseling firm. David received both his BA and MBA from Michigan State University. Q: Are all your portfolios managed in a similar fashion or do you adjust your portfolios for the objectives and needs of your individual clients? A: While all of our portfolio managers adhere to the investment discipline we have described, there is as much art as science to the process as each client has a unique situation. We follow a Model Portfolio, though clients' portfolios will differ due to the portfolio they had when they became a client, their individual tax situation and/or their tolerance for risk. Q: How tax-efficient are your portfolios? A: Better than half of the money we manage today is taxable, so we seek to provide our clients with the best after-tax total returns possible. We always look to own companies that can be held in portfolios for at least twelve calendar months in order to take advantage of long-term capital gains (the lowest tax rate available today). Many of our clients have multiple portfolios under our management, and we may allocate securities into retirement accounts that we think may not have a year holding period. We historically turnover about a third or our portfolio a year. Q: Do you have a market commentary where investors can learn about your current market outlook? A: We write a comprehensive market commentary that is distributed to all clients and friends of the firm following the end of each calendar quarter. Included in this narrative are our thoughts on the economy, fiscal and Fed policy, the markets, sector and industry analysis and observations about the general investment, regulatory and political landscapes. Additionally, we forward brief emails every two weeks with our most recent thoughts as well as special bulletins as conditions dictate. All of our publications are accessible through our website. Q: Have you seen a change in the market's investment climate in the recent past that might have made you change your investment methodology? Q: Would you like to add any final thoughts? A: There is no right or wrong approach to investment management. We strive to be responsive to each and every client's needs and tolerance for risk. Assisting our high net worth clients in laying out a long term investment plan and making adjustments as changes occur in their lives and market conditions dictate has proven successful. The most important point is that everyone needs a game plan and needs to make sure that the plan is both implemented and monitored.